A bit more 'Old English wisdom' for you today. For this project I've been culling maxims and similar 'wisdom statements' from across the corpus of Old English literature, but I've become especially enamoured of two texts: the Durham Proverbs, and the English version of the Disticha Catonis. Today's post is an attempt to put together some thoughts I've been playing with about the first of those two collections of sayings, a selection of which you can read here. When I said in this post that wisdom literature is not my own area of research, that wasn't strictly true; some of it does touch on one of my overarching interests, which is literature in England in the eleventh and twelfth centuries, especially across the traditional dividing-line of the Norman Conquest. My post last week about Canterbury jumped back and forth across that period and in the process, perhaps, illustrated how impossible it would be to put a hard line of division between the texts being read, written and thought about in that community through a hundred years or more of wars and conquests, fires and new foreign management. 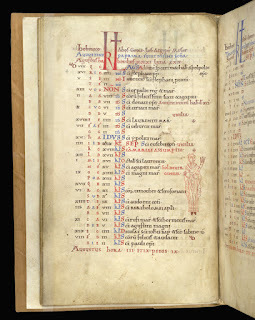 In that post I was trying to conjure up a picture of Canterbury in the early 1060s, and the Durham Proverbs (despite their title) come from precisely that world: in the middle of the eleventh century, at Canterbury, this collection of forty-six proverbs was written down in a slightly older manuscript (now Durham Cathedral, MS B. III. 32). 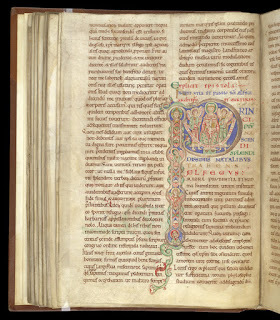 The same manuscript contains hymns and canticles, including a hymn to St Dunstan, and it was bound together with a copy of one of Ælfric's educational works; in this edition of the hymns it's suggested that the manuscript was 'a fairly basic schoolbook, something like a teacher's handbook for beginners', from which novices could learn the texts they needed for the liturgy. 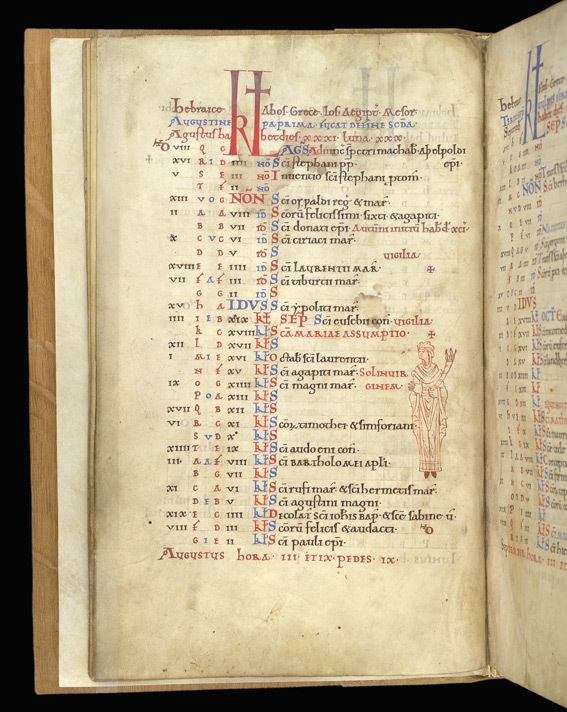 So with the Durham Proverbs we are in exactly the milieu of the miracle-story with which last week's post began: praises to Dunstan, singing schoolboy monks, and their masters. I find this an irresistible spur to the imagination, and as I read through the Durham Proverbs I like to picture young Osbern and his fellow schoolboys being reared on these eminently practical bits of wisdom. Perhaps when they were restless their masters used to say to them Geþyld byþ middes eades ('patience is half of happiness'), as my parents used to laughingly say to me, 'Patience is a virtue!' I wonder what the blind girl in Osbern's story would have made of the seventeenth proverb, Blind byþ bam eagum se þe breostum ne starat, 'He is blind in both eyes who does not look with the heart'. Perhaps once cured, as she marvelled at all the new sights open to her, she would have agreed with another of the proverbs: Ne wat swetes ðanc, se þe biteres ne onbyrgeð, 'He never knows the pleasure of sweetness, who never tastes bitterness'. These are just my flights of imagination, but they're not too fanciful; it's at least a useful thought experiment to imagine how these proverbs might actually be used in daily life, and how they might be shared or read. These proverbs are playful, clever and witty, as well as poignant at times, and anyone who thinks medieval monks didn't have a sense of humour would do well to pay attention to them. 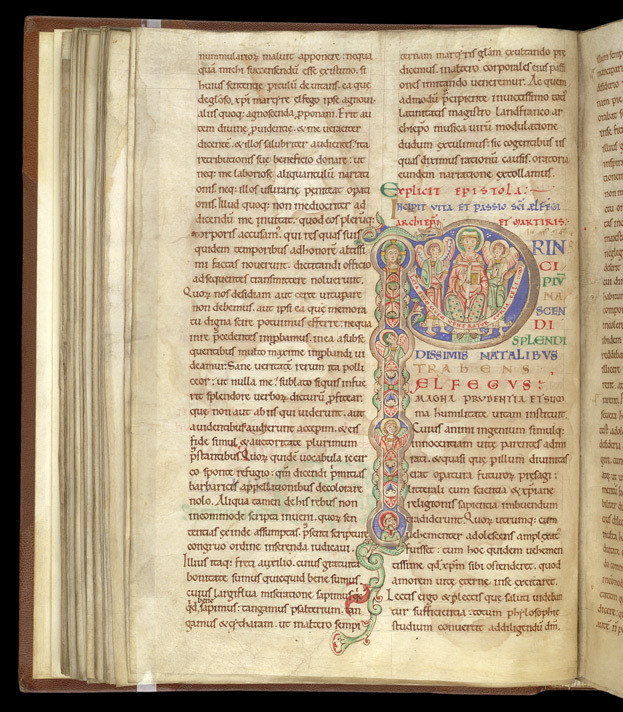 One of the funny things about talking about Anglo-Saxon literature to the public is that you have to explain it was almost all written down by monks and clerics, which often takes people by surprise. Their response then is frequently to assume that these monks were being inappropriately worldly, perhaps a bit 'naughty', in being interested in life beyond the monastery; but what studying Old English literature teaches you is that Anglo-Saxon monks were interested in everything. And why not? Anglo-Saxon monks could be historians, scientists, poets, teachers, musicians, mathematicians, lawyers, doctors, architects, administrators, and politicians; and though their numerous outside interests sometimes attracted the disapproval of stricter reformers, in their own time and in later centuries, we can be very glad they were 'worldly' enough to write down for us - to save for us - such texts as Beowulf, the poems of the Exeter Book, and the Durham Proverbs. Freond deah, feor ge neah; byð near nyttra. Æt þearfe mann sceal freonda to cunnian. In time of need, a man finds out his friends. Hwilum æfter medo menn mæst geþyrsteð. Sometimes men are thirstiest after drinking mead. Nafað ænig mann freonda to fela. No one can have too many friends. Ne deah eall soþ asæd ne eall sar ætwiten. Gyf þu well sprece, wyrc æfter swa. If you speak well, act accordingly. Truth will make itself known. Earh mæg þæt an þæt he him ondræde. A coward can only do one thing: what he fears. Ne sceal man to ær forht ne to ær fægen. One should not be too soon fearful nor too soon joyful. Ða ne sacað þe ætsamne ne beoð. Ne byð þæt fele freond, se þe oþrum facn heleð. He who harbours treachery against another is not a faithful friend. Man deþ swa he byþ þonne he mot swa he wile. Man acts as he is when he may do as he will. To nawihte ne hopað, se to hame ne higeð. He hopes for nothing, who does not think about home. This doesn't need to be interpreted allegorically; yet one might choose to meditate upon it in relation to the many experiences of exile described in Old English literature, to compare The Seafarer urging us Uton we hycgan hwær we ham agen, ond þonne geþencan hu we þider cumen ('let us consider where we have a home, and then think how we may come thither'), or to remember Ælfric preaching so beautifully about the wandering Magi and their journey towards their heavenly homeland. For a Benedictine monk, fixed by the principle of stabilitas in his home and community on earth, yet always seeking a heavenly home, this proverb seems very appropriate indeed. Mete gæþ on banan hand. Food comes to the killer’s hands. This one seems utterly inappropriate, perhaps the most inappropriate of all, but a clever expositor might make something very striking of it - perhaps a Eucharistic metaphor? And if we think about these proverbs alongside the other kinds of texts these monks were reading and writing, some interesting thoughts crop up. Translating that bit of Osbern the other day, I was reminded again how much he (like so many medieval writers) relies on wordplay as a means of thought: from its first sentence, his story is already playing on the phrase lucernae ardentes, the 'burning lights' of the liturgical response which heralds the miracle ('Sint lumbi vestri...'), as if the music is already running in the writer's head as he sits down to write the story. The blind girl 'cannot see the light of the world, but her heart is burning with desire for the light of eternity'; when the monks sing the injunction to 'keep your lights burning', these metaphorical lights become literal and visible for her, and she can now see real lights really burning in the church. The words and the music and the miracle are all interacting, all in harmony with each other as the story shifts between the visible and the audible, the real and the metaphorical. Betere byþ oft feðre þonne oferfeðre. Better to be often loaded than overloaded. This works on the aural similarity between 'oft' and 'ofer' ('often' and 'over', which works almost as nicely in Modern English), and it is a playful, memorable way of giving excellent advice: don't try to do everything at once, little by little wins the race. The similarity expresses some kind of essential truth - this is play, but of a serious kind. Well. These are some random, not entirely serious thoughts, and perhaps they don't really add up to anything. I suppose I'm just thinking about how often we underestimate the readers of the past, and their capacity for playful, flexible, creative reading, which allows proverbs like these to be productive of all kinds of meaning beyond the literal. Or perhaps it's all 'ordinary readers' scholars consistently underestimate (not that there's any such thing as an ordinary reader, of course.) In preparing these proverbs, and similar texts, for my tweets, I do a bit of background reading on them in various scholarly sources, and am often amused to find critics tying themselves up in knots trying to decide how to interpret the things. 'Can we venture to call this a joke?' they say; or 'it is difficult to see what wisdom this statement offers'; or 'this is so obvious as to verge on the banal' (I think that was in reference to the maxim Werig sceal se wiþ winde roweþ, 'Weary shall he be who rows against the wind'). Many profess incomprehension at the idea of proverbs or wisdom literature having value or interest at all, and at best seem to regard them as alien fragments of pre-modern culture which scholars can, with great and very solemn difficulty, strive to understand. Yet somehow, when I come to tweet these very same statements, they don't seem to confuse anyone. People who clearly have no knowledge of Old English literature, and probably not much formal background in literary study at all, have no trouble whatsoever understanding what the idea is: they read the little text, they interpret it, they offer commentary on it. They jump in to say whether they agree with it, or how they would apply it to the modern day, and their responses are playful and imaginative - sometimes wilfully misreading for the sake of a joke, sometimes adducing similar or contrasting statements to read against the original tweet. They don't struggle to see a metaphor behind something like 'weary shall he be who rows against the wind'; they get it straight away, and enjoy it. If the metaphor or the meaning isn't immediately obvious (and some of these maxims are not at all transparent), people are happy to talk about it and play around with it until they come up with a reading which fits, which makes sense to them; and they discuss each other's interpretations, as if they are a virtual community of readers, although complete strangers to each other and to me. I don't prompt these responses, and in fact I hadn't anticipated them at all when I started (I thought the unfamiliarity of the Old English language would make people tentative about engaging with the tweets). But I love it. 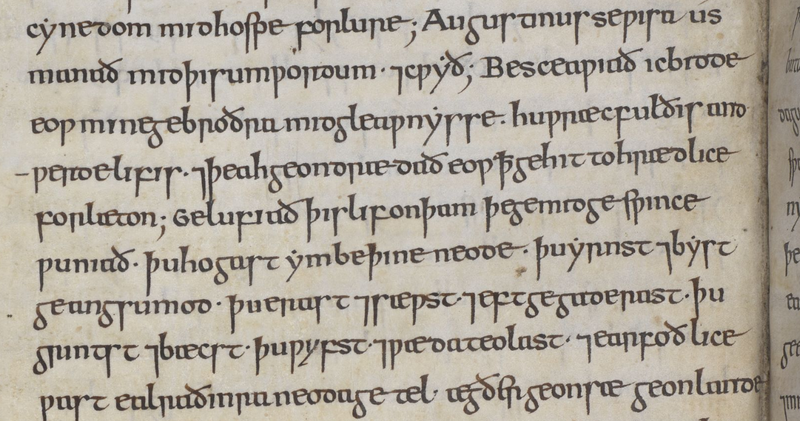 It delights me every single day, and all the more so because I think we might imagine eleventh-century textual communities acting in similar ways. Many of these proverbs work perfectly well on the most simple level, and require nothing but assent to convey their meaning. But others are like poems in miniature, making full use of the pleasures of language (rhyme, alliteration, wordplay) and the riches of the human imagination: imagery and metaphor, comedy and the bizarre. They're like tiny lessons in the sheer joy of literature, a reminder of all the many pleasures of reading and sharing what we read. Without prompting, people know exactly what to do with these proverbs; they know the rules of the game. They don't need to be told to comment and interpret, to think metaphorically, to rework texts for new contexts - they just do it, and have fun with it. They're better at it than many professional literary critics, and it's a joy to watch - a reminder that there's nothing 'ordinary' about the act of reading, and the interpretative games which anyone can play. Augustinus se wisa us manað mid þisum wordum, and cwyð, "Besceawiað, ic bidde eow, mine gebroðra, mid gleawnysse hu wræcfull ðis andwyrde lif is; and ðeah ge ondrædað eow þæt ge hit to hrædlice forlæton. Ge lufiað þis lif, on ðam þe ge mid geswince wuniað; ðu hogast embe ðine neode; ðu yrnst, and byst geancsumod; þu erast, and sæwst, and eft gegaderast; þu grinst, and bæcst; þu wyfst, and wæda tylast, and earfoðlice wast ealra ðinra neoda getel, ægðer ge on sæ ge on lande, and scealt ealle þas foresædan ðing, and eac ðin agen lif mid earfoðnysse geendian. Leorniað nu forði, þæt ge cunnon þæt ece lif geearnian, on ðam ðe ge nan ðyssera geswinca ne ðrowiað, ac on ecnysse mid Gode rixiað." On ðisum life we ateoriað, gif we us mid bigleofan ne ferciað; gif we ne drincað, we beoð mid þurste fornumene; gif we to lange waciað, we ateoriað; gif we lange standað, we beoð gewæhte, and þonne sittað; eft, gif we to lange sittað, us slapað ða lima. 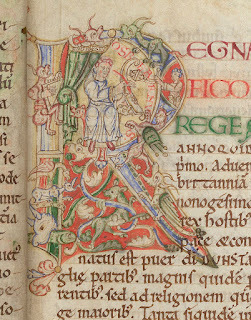 Sceawiað eac æfter ðisum, þæt nan stede nis ures lichaman: cildhad gewit to cnihthade, and cnihthad to geðungenum wæstme; se fulfremeda wæstm gebyhð to ylde, and seo yld bið mid deaðe geendod. Witodlice ne stent ure yld on nanre staþolfæstnysse, ac swa micclum swa se lichama wext swa micclum beoð his dagas gewanode. Gehwær is on urum life ateorung, and werignys, and brosnung ðæs lichaman, and ðeah-hwæðere wilnað gehwa þæt he lange lybbe. Hwæt is lange lybban buton lange swincan? Feawum mannum gelimpð on ðisum dagum, þæt he gesundfull lybbe hund-eahtatig geara, and swa hwæt swa he ofer ðam leofað, hit bið him geswinc and sarnyss, swa swa se witega cwæð, "Yfele sind ure dagas," and ðæs þe wyrsan þe we hi lufiað. Swa olæcð þes middangeard forwel menige, þæt hi nellað heora wræcfulle lif geendian. Soð lif and gesælig þæt is, þonne we arisað of deaðe, and mid Criste rixiað. On ðam life beoð gode dagas, na swa-ðeah manega dagas, ac an, se nat nænne upspring ne nane geendunge, ðam ne fyligð merigenlic dæg, forðan ðe him ne forestop se gysternlica; ac se an dæg bið ece æfre ungeendod butan ælcere nihte, butan gedreccednyssum, butan eallum geswincum þe we hwene ær on ðyssere rædinge tealdon. Þes dæg and þis lif is behaten rihtwisum cristenum, to ðam us gelæde se mildheorta Drihten, seðe leofað and rixað mid Fæder and mid Halgum Gaste a butan ende. Amen. Augustine the wise exhorts us with these words, and says, "Consider, I pray you, my brothers, with wisdom, how wretched this present life is - and yet you are frightened that you will have to leave it too quickly! You love this life, in which you dwell with labour. You worry about your needs; you run around, and are seized with anxiety; you plough, and sow, and then gather; you grind and bake; you weave and make clothes, and with difficulty know the number of all your needs, whether on sea or on land; and all these things, and your own life too, with great hardship will end. Learn now, then, so that you may be able to earn the eternal life, in which you will suffer none of these troubles, but will reign with God in eternity." In this life we grow faint, if we do not sustain ourselves with food. If we do not drink, we are destroyed by thirst. If we stay awake too long, we faint. If we stand up for a long time, we grow tired, and sit; then, if we sit too long, our limbs go to sleep. And consider after this, that there is no stability in our body: childhood passes to boyhood, and boyhood to full growth; full growth bows to age, and age is ended by death. Truly our age stands in no stable place, but by as much as the body grows, so much are its days lessened. Everywhere in our life are faintness and weariness, and decay of the body; and yet every one desires that he may live long. What is it to live long, except to labour long? It happens to few in these days to live in good health for eighty years, and whatever he lives more than that, it is labour and sorrow to him, as the prophet said, "Evil are our days," - and the worse is, that we love them! This world so flatters very many, that they are unwilling to end this wretched life. A true and blessed life it will be, when we arise from death and reign with Christ. In that life there will be good days - yet not many days, but one, which knows no rising nor no ending; which no tomorrow follows, because no yesterday went before; but the one day will be for ever unending, without any night, without afflictions, without all the labours which we have just been speaking of in this sermon. This day and this life are promised to righteous Christians; may we be led to it by the merciful Lord who lives and reigns with the Father and the Holy Ghost ever without end. Amen. Let me tell you a story. This is an incident which occurred on this day some 950 years ago, during the night of 23-24 August, in a year some time between 1060-1065. The setting is the cathedral church at Canterbury, and our eyewitness is a little boy, who was singing in the choir alongside other boys and the adult monks. A young girl came to the city of Canterbury, a maiden devoted to God by the grace of prayer. From her birth this poor girl had never seen the light of this world, but she was always seeking eagerly after the light of eternity. 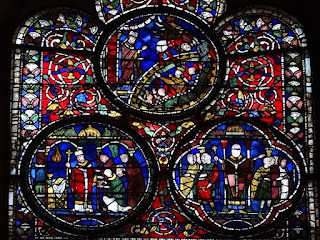 It happened that the feast was being celebrated of St Bartholomew the Apostle and of St Audoen, the confessor of Christ, both of whose relics, along with those of many other saints, lie within the church of the Saviour at Canterbury. The girl asked the custodians of the church if she might have permission to keep vigil that night, which they readily granted her because of her devout way of life. She placed herself in the church near to the tomb of the blessed father Dunstan, and all night she kept vigil and prayed. We were beginning the Night Office, singing the eighth response 'Let your loins be girded and your lamps be kept burning', joining our tuneful voices in harmony, when this little girl of God began to feel her eyes itching terribly. She rubbed her eyes very fiercely with her fingers, and blood poured from them, flowing from her head down onto her garments. She whispered to those standing nearby, "Give me a bowl, so the blood doesn't stain this holy ground!" When they had done so, she washed her eyes in the water they had brought. All this time we boys were staring at her, signalling to each other in excitement, for we guessed - as proved to be the case - that our good father Dunstan had performed a great miracle for her. We had sung about the girding of loins, and the burning of lamps; that song had come to an end, and we sang our praises to the glory of the Holy Trinity. And behold, she who had 'girded her loins' in devotion was able to see the 'lights burning' in the church to the glory of God, rejoicing in her heart. She marvelled at everything she saw. She was shown many things: golden objects, crosses, the keys of the church, and at everything she laughed in joy and wonder. She stared around at the people in great amazement. All in the church who saw this wept, and sang to the praise of God with joyous hearts and melodious voices. At dawn the next day, we boys went to our masters, due to be whipped for the infractions we had committed. But behold, that good man Godric [dean of the cathedral] intervened, saying to the masters, "You stupid men! You are vomiting your cruelty upon these innocent boys, when our sweet father Dunstan has demonstrated his tender kindness to us sinners. Get out of here! You see this miraculous sign being celebrated which our Saviour has performed for the girl born blind - and yet you dare to be so cruel? Get out of here!" So we escaped their cruel hands, and went into the church. Our blessed father's bell was ringing, the one it is said he made with his own hands - a sound than which nothing is sweeter, nor more able to move men's hearts to tears. All the people in the city were flocking together, to see with their eyes the truth of the story they had heard. With lifted voices and with tears we began together to praise our Lord God, who through his blessed servant Dunstan is pleased to bless our own days with great joy. There was a huge crowd of people standing in the church, and you could not see one among them who did not weep for gladness in all sweetness and devotion at the miracle. 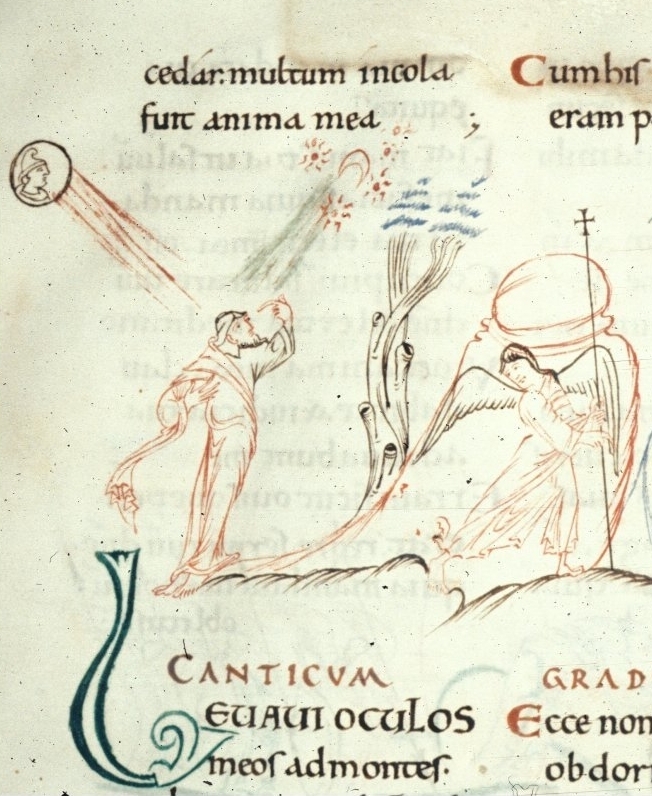 This is a free paraphrase of a story (which you can read in Latin here) told in a Miracula S. Dunstani, written in Canterbury some thirty years after this miracle took place. The author of the Life was our little eyewitness choirboy, whose name was Osbern. At the time of this miracle, on the eve of the Norman Conquest, Osbern was a child oblate being educated in the monastery of Christ Church, aged perhaps ten or twelve years old. He grew up to be a monk of Canterbury, precentor of the monastery and a talented musician, best known for writing works on two of Canterbury's chief Anglo-Saxon saints, Dunstan and Alphege. But all that was in the future on the August night when this miracle occurred. Linger in the story a moment, and imagine the scene: the summer heat, the darkness, the pools of candlelight, the chant going up into the roof of the church, the little boys jostling each other when they saw the unexpected commotion, as even the best-behaved choirboys do at any deviation from their usual routine. In the blind girl's wonder at seeing for the first time the golden ornaments of the church, we can almost see them for ourselves glinting in the light of the burning lamps. 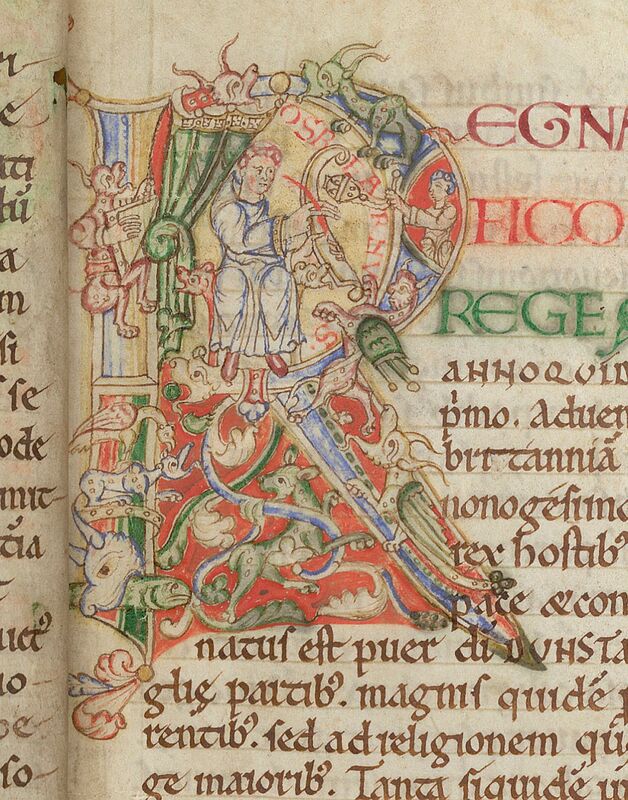 This is, typically for Osbern, a very musical scene: we learn what the monks were singing (a response from Luke 12:35), we hear their tuneful voices, and we listen too to the ringing of St Dunstan's bell - a bell made with his own hands, it's said (quite plausibly, given Dunstan's talent for metalwork), with a sound 'than which nothing is sweeter'. Well, few things ever are sweeter than the church bells of home. This story is of a miracle attributed to St Dunstan, and it's only tangentially related to the saints on whose feast-day it took place. 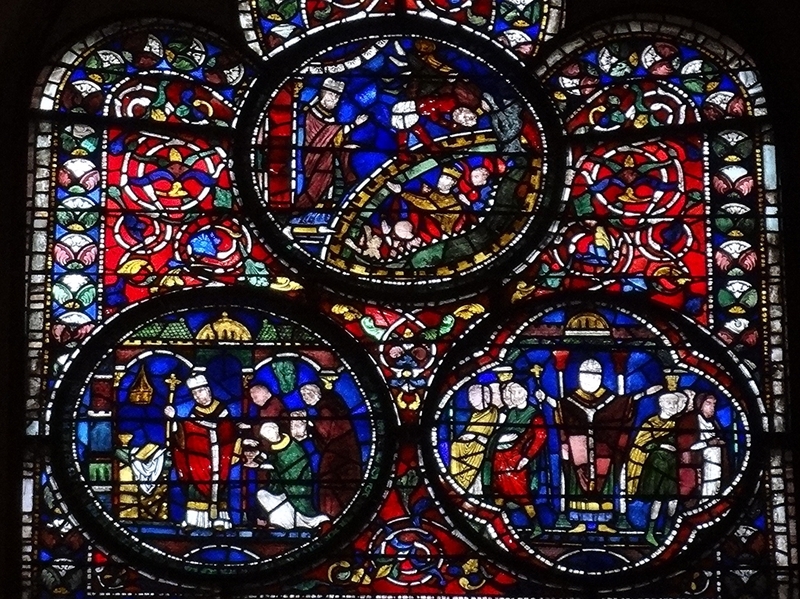 But both St Bartholomew and St Audoen (also known as Ouen), who shared a feast on 24 August, had relics preserved at Canterbury: Audeon's had come there in the time of St Oda, Bartholomew's in the time of Cnut. 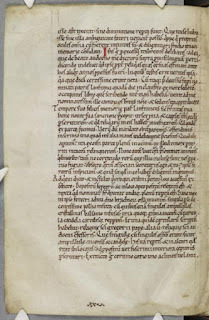 And both feature in a little group of connected stories from Canterbury texts which touch on memory, community, and the transmission of knowledge between pre- and post-Conquest England. Let me link some of these stories together for you today, and see what kind of picture we end up with. We've started with a story which took place in the early 1060s, but we can go back further in time than that. 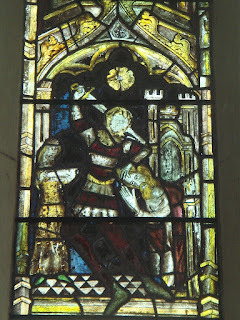 The 'good man' Godric mentioned in this story, bursting in to save the boys from a beating with his vigorous speech, was dean of the cathedral between c.1044 and c.1070. He reappears elsewhere in Osbern's work - this time telling a story of his own. In 1023, Godric had been one of the monks entrusted with moving the body of the martyred archbishop St Alphege from London to Canterbury. 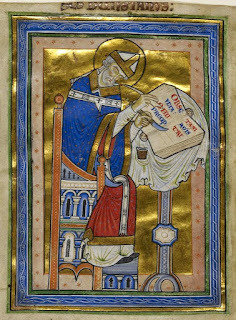 Under instruction from Cnut and Archbishop Æthelnoth, Godric had helped to open Alphege's tomb in St Paul's (or at least, so he told Osbern). Godric described how when they had opened the tomb they found the shroud they had brought wasn't enough to cover the body, so he ran to a nearby altar and grabbed the altar cloth to use as another shroud; but, apparently feeling a little guilty, he left half a pound of gold to pay for the cloth. Osbern wrote an account of this event in the 1080s, based on what Godric had told him; in it he describes Godric as "once a disciple of Alphege himself... from whom we learnt all these things which, having made diligent inquiries, we now relate". You can read more about the story Godric told here. I talked about this story in my post on the reburial of Richard III, as an example of a generically typical medieval narrative about the discovery of lost relics. And so it is. But at the same time it is very specific, localised to a distinct time and place, and we can bring to it all kinds of other contextual information about the people involved. It took place in the years between the death of Archbishop Lanfranc in 1089 and the appointment of his successor, St Anselm, in 1093. 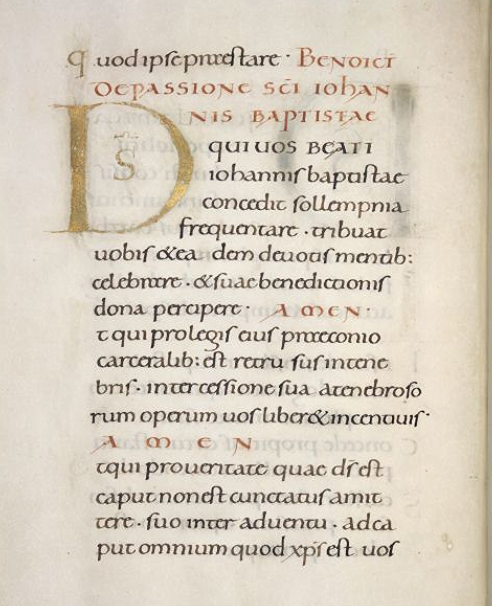 Osbern was writing his Life of Dunstan around that time - so perhaps he was doing a bit of research on Audeon in order to tell the story I quoted above, of the little girl cured of blindness on Audeon's feast-day. Eadmer was in his late twenties, and of the two of them Osbern was the more senior and experienced historian; Eadmer was, as he tells us, working at copying manuscripts (some of which can be identified; see the article here), but probably only just beginning to compose his own works. 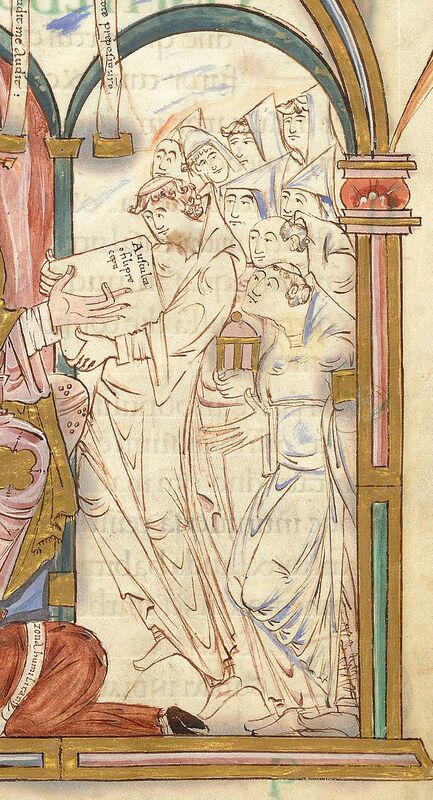 His first forays into history-writing deal with Archbishop Oda, who brought Audeon's relics to Canterbury, and with one of the other saints whose relics they believed Oda had obtained (Wilfrid). So perhaps Eadmer was interested in Audeon for that reason; or perhaps Osbern's interest in Audeon's relics encouraged Eadmer's focus on Oda. Maybe it went both ways. When people are living and working together in close community, they influence each other immeasurably and intangibly, in ways perhaps even they don't understand. Eadmer later became unquestionably the better historian of the two, and he has an intriguingly complicated relationship with Osbern's work, half imitation, half competition (when he later rewrote Osbern's story of the little girl's miracle in his own Life of Dunstan, he cut out Osbern's eyewitness testimony entirely). To see one writer through the eyes of another is fascinating, but scholars are not influenced only by other scholars; as Osbern's references to Godric remind us, a community is composed of all kinds of story-tellers, not just those who write the stories down. Eadmer says that the arm of St Bartholomew had been purchased for the cathedral priory by Queen Emma, wife of Cnut, in the 1020s or 1030s. She bought it from the Bishop of Benevento, who was then in England raising funds by the sale of relics, and in return for the arm the monks of Canterbury gave the bishop a fine cope as a gift. 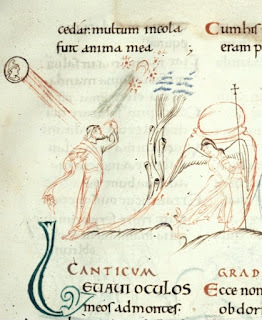 In his Historia Novorum, Eadmer tells how when he was travelling with St Anselm in Italy in 1098, he spotted the very same cope which the Canterbury monks had exchanged for Bartholomew's arm being worn at the Council of Bari. Far from home, Eadmer was thrilled to see this little piece of England. He explains to us that he recognised the cope from the stories of senior Canterbury monks: he recalls that when he was a boy being educated in the cathedral school, three older monks - he gives us their names, Edwin, Blacman and Farman - "used to recount consistently and in sequence" all the details of Queen Emma's transaction, and the ceremony of the exchange of relic and cope, which they had witnessed. "In those days people in England considered the relics of saints more valuable than anything else in the world", he adds, as he tells this story about story-telling, remembering the old monks' memories. 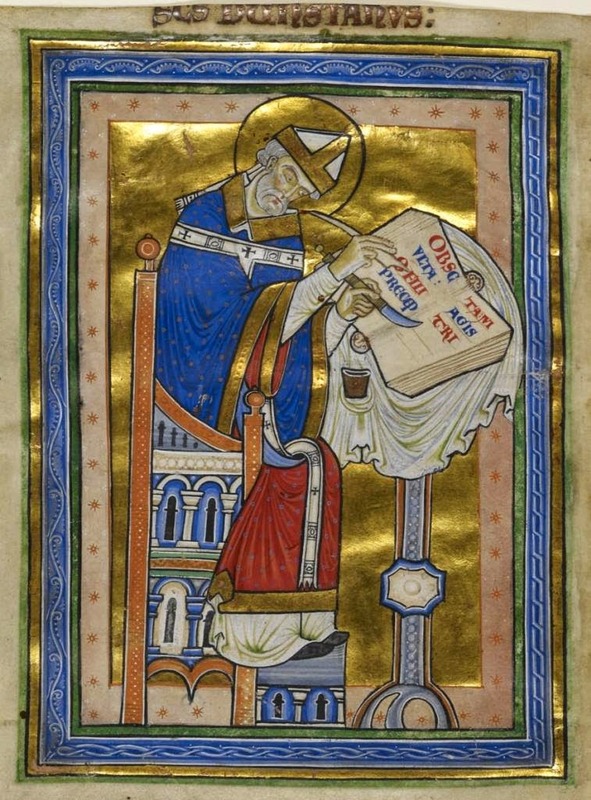 When he recognised the cope in Italy, excitable Eadmer went to tell the bishop who was wearing it of his discovery (I like to imagine Anselm indulgently smiling all the while at Eadmer's characteristically parochial enthusiasm), and the bishop graciously confirmed the truth of Canterbury's tradition. This story suggests all kinds of interesting things about memory and oral transmission in eleventh-century England, and about the way traditions were perpetuated within communities - knowledge being transmitted from one generation to another. Bartholomew is traditionally identified with Nathanael in the Gospel story about the meeting of Christ and Nathanael - 'an Israelite in whom there is no guile!' Like Eadmer's story about Bartholomew's arm, this is a tale of recognition and knowledge: when Jesus greets Nathanael, Nathanael asks him in astonishment, 'How do you know me?' The question goes unanswered, or only partially answered: Jesus tells him, "Before Philip called you, when you were under the fig tree, I saw you." Divine knowledge has no beginning, no coming to know; but we, like Nathanael, have to be taught, and we can always wonder how we come to know the things we know. As Eadmer understood, historians always have to be asking themselves 'how do we know this? 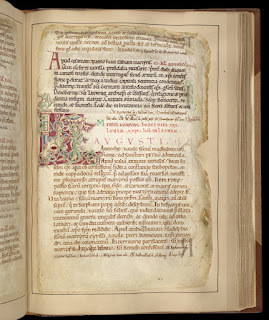 ', and Eadmer's explanation of how he knows the story of Bartholomew's arm is as characteristic as his excitement in seeing a memento of Canterbury in far-off Italy. 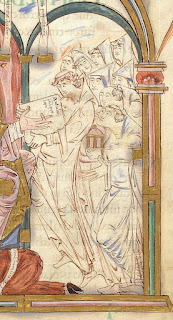 In his eagerness to prove that something good can come out of Nazareth (or rather, pre-Conquest England) Eadmer has preserved the record of an event which would otherwise be lost; without his story those three monks, Edwin, Blacman, and Farman, would have joined the countless numbers whose names and lives history has not preserved. 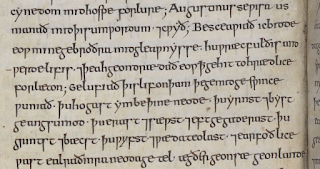 Osbern does the same thing for Godric, who would otherwise be nothing more to us than a name in a few charters - one of Anglo-Saxon England's many indistinguishable Godrics. If you've read this far, and followed the zig-zags of times and places in this post, I appreciate it! 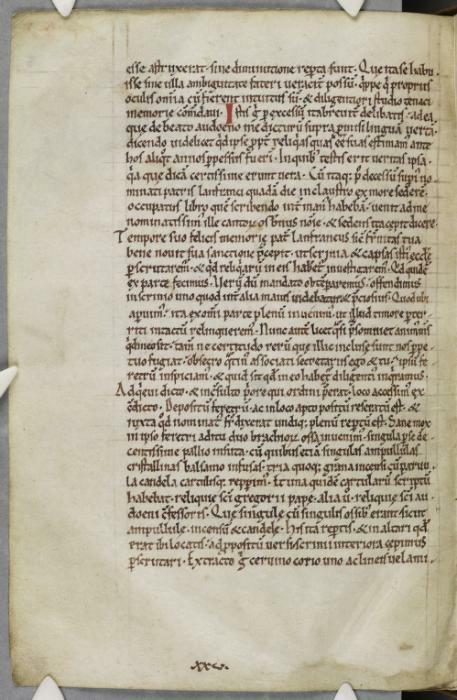 We have four separate stories here, connected by links of story-telling and memory: Osbern's memory of Godric, Godric's memory of Alphege, Eadmer's memory of Osbern (and Audeon), Eadmer's memory of Bartholomew (and Edwin, Blacman, and Farman). It's the historian's job to put those pieces together and make something of them, to tell you how these stories fit together and what the picture is supposed to look like. I could do that now, in various ways depending on my mood. One kind of historian would use these stories to make their own critical story, explanatory narratives about medieval monastic memory or the famous twelfth-century 'nostalgia for the Anglo-Saxon past'. Another kind would read these texts in order to cherry-pick details of liturgical observance or ecclesiastical architecture, or try to work out whether these stories are reliable evidence for the economics of relic-exchange in Cnut's England, or the politics of saints' cults under Lanfranc, or... whatever. All these approaches are valuable, and I've followed them myself - broken open the stories to get to the kernel of information inside and thrown away the husk, forgetting in the process that these are narratives, not just accumulations of useful details. But I don't want to do that today. It's too neat. Is my own life so tidy that I can pretend to explain someone else's? Human life is not and should not be so easily explained away. The part of me which will always be more of a literature student than a proper historian wants to linger inside the stories, to think of them not as historical evidence to be evaluated for what they can tell us, but as tales which give us a glimpse into something immeasurably more important: real people's minds. Eadmer's work on the relics of St Audeon was almost the last thing he ever wrote, and in it the elderly Eadmer (clearly in a reminiscing kind of mood) talks quite a bit about his own childhood memories. 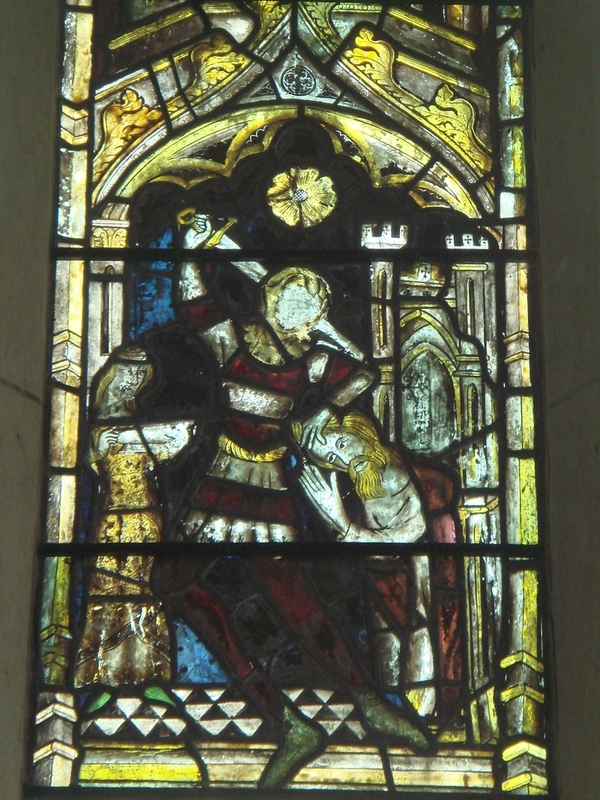 As well as telling the story of Osbern's research trip, he gives a lengthy description of the cathedral he knew as a child, the church which was the scene of the miracle with which we began - which was destroyed by fire in 1067, and by the 1120s existed only in the memory of Eadmer and his fellow white-haired contemporaries. Osbern, Godric and the rest were long dead. Reflecting on the powerful hold his own memories have on him, Eadmer observes that it's what people learn when they're young that they remember most vividly: Quo semel est imbuta recens seruabit odorem testa diu, he quotes. ... and a few weeks later you're on the BBC website. You can read an interview with me trying to explain my Twitter project 'Old English Wisdom' here - that is, if you're not tired of hearing me talk about it, as I did at some length on this blog here and here. All the tweets posted so far can be found on this page. This is very exciting but odd, too, because this isn't some great research project or a news story at all - it really was just an idle thought, something I thought would be a fun experiment, and Anglo-Saxon wisdom literature isn't my 'real research', so it's rather awkward to be described as an 'expert' on it! I'm not claiming to be that, I hope. I just very much like these texts, some of which I've known for years, some of which were new to me when I started doing this in my spare time. I enjoy translating them, and I enjoy thinking about them, and they've brought me a lot of comfort and pleasure over the past few months. I'm so glad to see they have been doing the same for others. This is the saddest poem I know. I'm only posting it today because I haven't posted here in a week, and I want to post something, but I'm too sad to think at the moment and this poem is all I have right now. 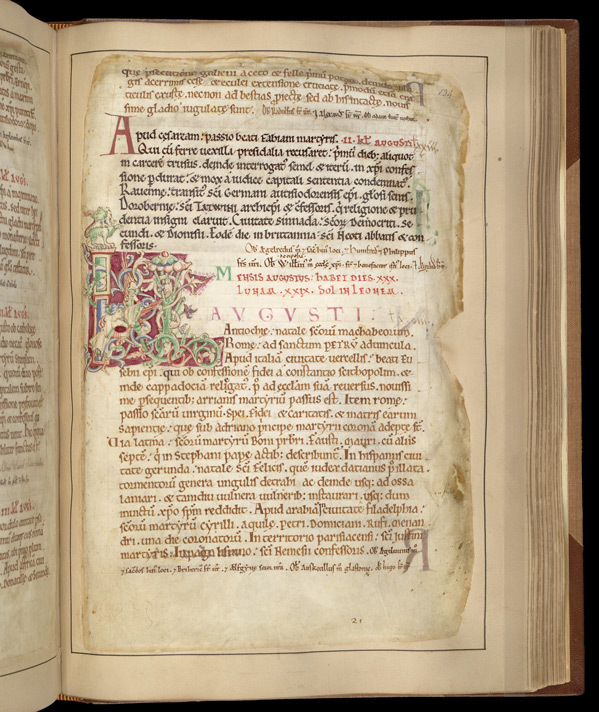 It comes from a fourteenth-century manuscript, BL Harley 913, and you can see a list of the other poems contained in the same manuscript here. I remember the first time I read it, as an undergraduate, and how it went straight into my heart and stuck there. Translating the poem takes away some of its power, and you don't need to understand everything to get the sense of it (I think when I first read it, before I knew much Middle English at all, the strangeness was part of the attraction). So here's a kind of half-translation. Lullay, lullay, little child, why weepest thou so sore? As thine elders did ere this, while they alive were. Lullay, lullay, little child, child lullay, lullow. Into an alien world come so art thou. All but the poor wretch that is of Adam's blood. Thou knowest not that this world's wild before thee now is set. Think how thou wert fostered at thy mother's knee. Whence thou comest, what thou art, and what shall become of thee. With sorrow thou came into this world, with sorrow shalt wend away. Trust not thou to this world, it is thy foul foe. It turneth woe to weal and eke weal to woe. Let no man trust to this world, while it turneth so. Thou knowest not where it shall turn, to woe or to weal. Thou wanderest in this false world; look thyself before. Adam's kin down to cast, as he has done before. In the land of paradise, through wickedness of Satan. Death shall wait for thee with bitter bale in breast. This poem was probably my first encounter with the idea of the Wheel of Fortune (well, as anything other than a gameshow, I suppose). It's such a common image in medieval literature, but it's somehow very vivid here - I think it's the phrase 'thy foot is in the wheel', which makes you feel how quickly a sudden jolt could send anyone flying from joy into misery. And to say it to a child! There's something utterly horrible, and yet completely astonishing, about the idea of speaking to a crying baby as if it is weeping for all the sorrows of the world; it's horrific, and yet somehow beautiful. Ne thunche ham na feorlich, thah ha her tholien as in uncuth lond & in uncuth eard, bituhhen untheode, scheome ba & sorhe, for swa deth moni gentil mon the is uncuth in uncuththe. uncuth in uncuththe, a stranger in a strange land.